Yeah it’s foreign, but too cool not to use. George Romero directs a series of short episodes, all with horror themes, based upon the writings of Stephen King! Sounds OK, why haven’t I watched this before…? The answer to that question is that Creepshow hasn’t aged well in the 25 years since it was released, in fact the scariest thing may just be that this was considered horrifying at some point, when horror was still a distant cousin to ‘true, commercial filmmaking’, the dirty little secret only supported by teenagers and the mentally unstable, not the pointless and sterile commercial behemoth it has morphed into over the last 15 years. Rant over, none of that means that Creepshow is that good or bad though, as my dangerously unadventurous 6 ratings suggests it is just a movie with pluses and minuses. The pluses are that the gore effects and horror makeup are pretty effective, also that the film is divided into 5 separate stories, so if you aren’t immersed in one story you don’t have to wait too long before it ends and another starts. A guy that really wants his cake, even years after his untimely death. A meteor which instantly gives Stephen King a green thumb, and everything else. Leslie Nielson and Ted Danson have a showdown at High… tide. Researchers open a 150 year old crate and… well you’d be hungry too after eating nothing but splinters for a century and a half. An eccentric and wealthy shut in has issues with bugs. Lotsa issues. Lotsa bugs. The minuses are that the stories are disturbingly straightforward, with a few sporting a twist that can be guessed within the first couple minutes of the set up, and the others not even bothering to hide where the story is going. Maybe since The Sixth Sense we kinda expect more creativity and misdirection from our films – even our short films – but obviously the 80s were simpler times, and to be fair George Romero was a guy made permanently famous for undead flesh eaters, not his twists and cleverness. 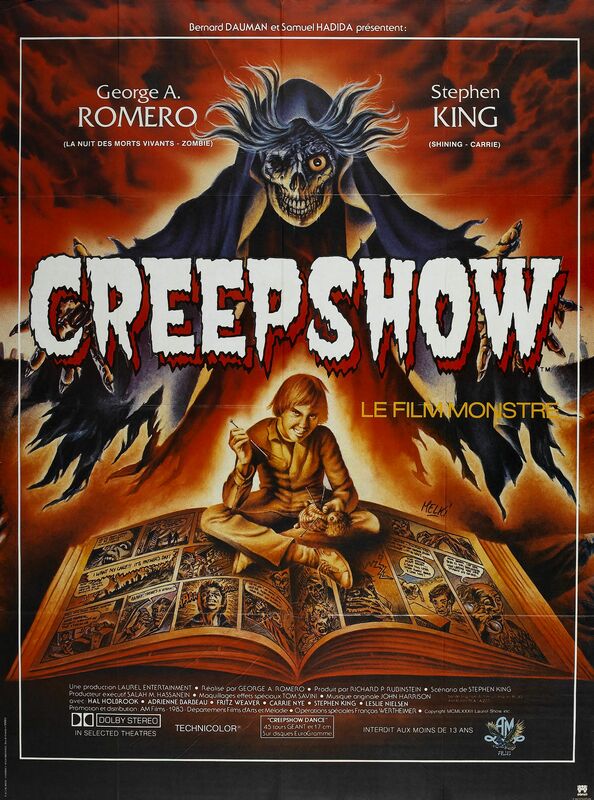 There is nothing horribly wrong with Creepshow, it thankfully turns up the gore elements and doesn’t shy away from actually trying to scare. But unfortunately times have changed society’s views on horror, gore and cinema taboos, and in doing so Creepshow is now but a relic of what people used to find scary and alternative. In that regard it’s a lot like Nirvana, Led Zeppelin and The Cure, at one point they were counter-culture and threats to the fragile fabric holding our youth at bay, now it is all merely ‘oldies rock’, easy listening for those long beyond their hellraising years, and easy fodder for derision by those who somehow think Kanye West and Jay Z are musical geniuses. Final Rating – 6 / 10. 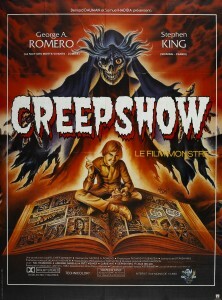 Some 80s horror films have stood the test of time, Creepshow isn’t really one of them.